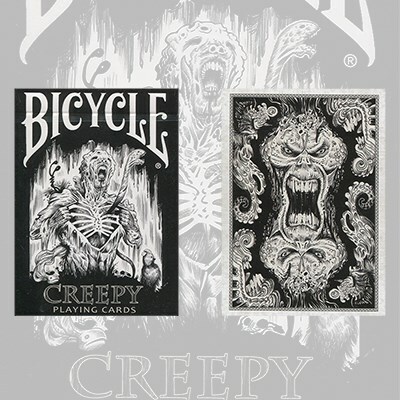 Collectable Playing Cards brings you the Bicycle Creepy Playing Cards by Johnny Whaam. Why Creepy? Johnny wanted to create beautiful but "Creepy" monsters, 12 of them...and put them on court cards. But..... why? He loves horror. It was a challenge to him to see how creepy his imagination would be in this art field. He decided to put it on paper and just wait until you see what he came up with. The detail on each of these 52 cards is truly amazing.